It's the final countdown! The last few hours remain to claim your Extra 30% Off Upgrade! That's right, for you special tribe members we're rolling out the red carpet with an exclusive EXTRA 30% off, forget the EXTRA 20% Off you see on the site today because, for you, we'll make it an EXTRA 30% off! That's an EXTRA 30% off our Huge Selection. 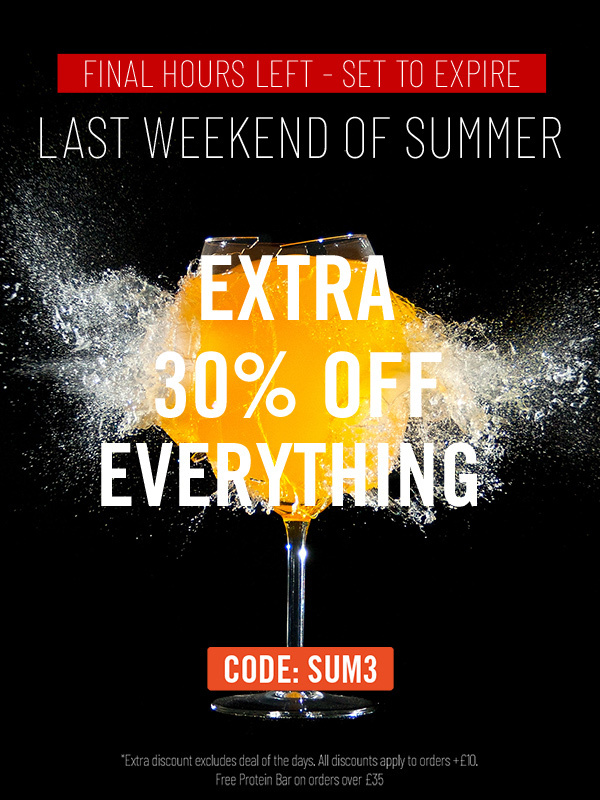 Just use Code SUM3 at checkout with any other the 'SALE' Codes and you'll bag yourself an EXTRA 30% off. So take your pick from our Protein Shakes, Meal Replacements, Protein Foods get stuck in, take your pick and do not forget your exclusive code (SUM3). *Upgrade can only be used in conjunction with SALE codes.